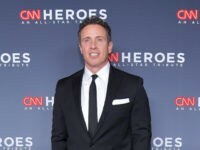 In a week when scandals plague the White House, late night comics are still struggling to find a way to turn the news of the day into punch lines. There’s nothing funny about President Barack Obama. That’s what we’ve been hearing for five years now as the excuse for comedians not making jokes about him. He’s not stupid, like Harvard MBA George W. Bush. He’s not a pervert like President Bill Clinton. And, if you want to go way back, he’s not a scandal-ridden control freak like President Richard M. Nixon. On Friday the IRS scandal broke, quickly followed by the AP phone records imbroglio, so you would assume that by Monday the late night comics would be all over them. NBC’s Jimmy Fallon felt the big White House scandal of the previous week was the smoke alarm going off (probably because the President was smoking). But aside from Jay Leno’s monologue and Jon Stewart’s reluctant apology to the Tea Party, you wouldn’t have known anything had happened watching Monday night’s talk shows. Stewart essentially stood alone in targeting Obama for the emerging scandals Monday, but a day later the rest of the late night comics started to catch up. 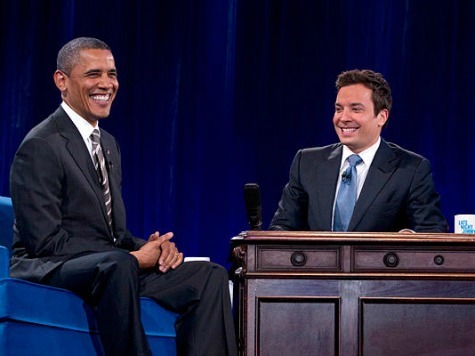 Both Jimmy Fallon and Conan O’Brien weighed in with a single one liner each concerning Obama. But they are still struggling. The edge of a comic can be judged by his willingness to tackle topics that other comics won’t touch. By this standard Jay Leno, the one late night host who treats presidents of both parties the same way, is much edgier than Letterman.